Andrea Prosperetti, a Johns Hopkins professor who is an internationally respected expert in the mechanics of fluids, has been elected to the National Academy of Engineering, the organization has announced. Prosperetti said he hopes his election to the academy, which was announced Feb. 9, will shed positive attention on his department. “I think this represents recognition for the conditions that enabled me to do good work at Johns Hopkins,” he said. 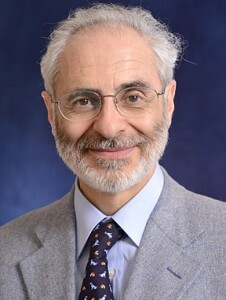 Prosperetti received a doctorate in engineering science from Caltech in 1974 and taught at the University of Milan, Italy, before joining Johns Hopkins in 1985. He is the editor-in-chief of the International Journal of Multiphase Flow. He also has served on the editorial board of the Annual Review of Fluid Mechanics and as editor for the Letters section of The Physics of Fluid. Prosperetti is author or co-author of about 180 papers in refereed journals. He is author of the book Advanced Mathematics for Applications and is co-author of two other books. This year the National Academy of Engineering elected 66 new members and 10 foreign associates, bringing the total U.S. membership to 2,254 and the number of foreign associates to 206. Other Johns Hopkins faculty members who are members of the academy are Edmund Y.S. Chao, a retired School of Medicine professor of orthopedic surgery; Kenneth Keller, director of the School of Advanced International Studies’ Bologna Center; Robert A. Dalrymple, the Willard and Lillian Hackerman Professor of Civil Engineering; Murray B. Sachs, University Distinguished Service Professor of Biomedical Engineering; Eugene D. Shchukin, a Whiting School research professor emeritus; and James E. West, a research professor in the Department of Electrical and Computer Engineering. Color digital photo of Andrea Prosperetti available; contact Phil Sneiderman.